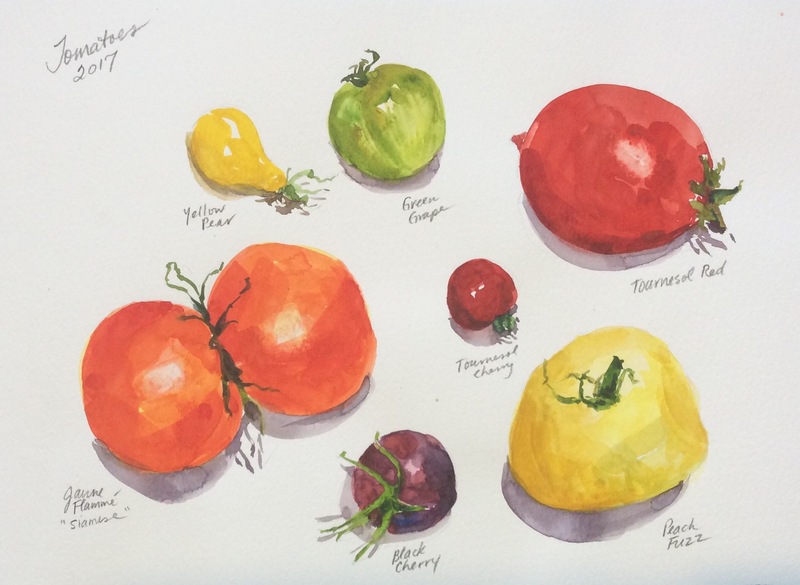 I was very proud of my diverse tomato bounty this summer, but not as pleased with this rendering. I meant to redo it with the next crop, but, alas the season flew by, then the plants succumbed to late season blight. So, I’m posting this if only to remind me to try again next year.